Home Video Review Video: Are TaylorMade Screwing Us With The M5 And M6 Drivers? 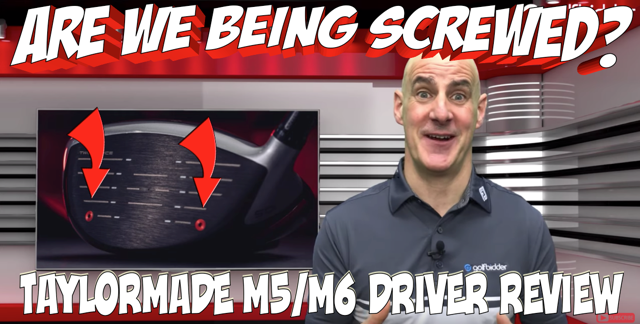 Review Video: Are TaylorMade Screwing Us With The M5 And M6 Drivers? I've had a look behind the marketing blurb of the TaylorMade M5 and M6 drivers in my role as Golfbidder equipment expert and reviewed both of them along with the fairway woods. My aim as you will see in the videos and read below is to be thorough and honest. 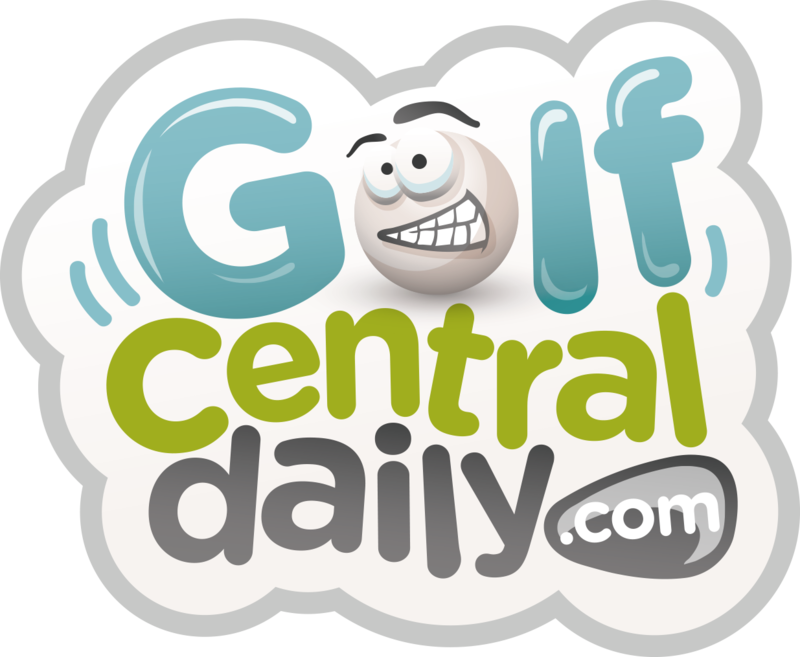 You can check out all my equipment review videos on the Golfbidder YouTube Channel here. Following three of the best adjustable drivers ever in the form of a couple of M1's and an M3 it was always going to be a big ask for TaylorMade to eek out further improvements, and while the M5 almost looks like a "work in progress" driver, there's no arguing with the results on paper that it produces faster ball speeds than the M3. When I say "work in progress" driver I am of course referring to the two very obvious and kind-of off putting screws in the face of the club. I had to do a double take the first time I saw them, I was transported back to the 80's when it looked sort of odd if a driver didn't have four brass screws holding the face on! Hats off to TaylorMade though as the screws in the M5 are brilliantly explained by telling us all that the faces are actually made illegally "hot" or beyond the 0.803 COR or "springyness" limit and are dialled back to precisely the right side of the law by injecting up to two grams of hot melt resin where those screws are. It's in effect saying that before this in your M1,2,3 or 4 the faces were all made on the safe side of legal to allow for manufacturering tollerances and varied in COR. 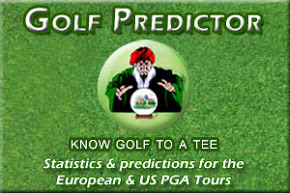 You might have gotten lucky to buy one with a hotter face than your mate on the tee beside you. But thanks to the injected twist face, every M5 (and M6) in right on the limit. Stripping back the blurb you will find though that the face is 3.4 grams lighter than before and machined thinner on the edges to provide a larger sweet spot and would make sense with the hot melt resin. That's the “circles of speed” explained, and however unsightly, the results from testing suggest a ball speed gain of up to two miles per hour on the M3 at an average club players swing speed. Overall looks and build wise the M5 has a thinner silver topline graphic than the M3 with a matt finish and more accentuated step on the crown. Side by side the M5 is also a little deeper and sits a little prouder than the M3 . The Twist Face, with its extra loft in the high toe and lower loft in the low heel, to direct mishits back into the centre is retained, but as before its not really noticeable to the eye. What is noticeable is that the M5 sits 1.5 degrees more open than the M3 at address. If the M3 looked closed to your eyes, the M5 will look more square. If it doesn't get out the wrench and start adjusting the hosel to one of the 7 options and plus or minus 2 degrees to suit you! On the underside of the M5 TaylorMade have changed it up again. The speed channel or "Hammerhead 2.0" slot needs just one reinforcing bar because of the injected resin we spoke about. The adjustable track system has been changed to. Again it has two moveable 10 gram weights and while the centre rail is the same as in the M3 the other rail hugs the perimeter of the back very like in the Callaway EPIC driver. When you think of how the rails have moved so much from behind the face of the original and very excellent M1 driver to the very back of this M5, you begin to wonder could there have been more consistency in the design, which has varied hugely through the models, as TaylorMade fans have to go and figure out their optimal settings all over again in the M5. On the flipside, the permutations for adjustability are countless and THAT is one of the real defining features of this club over its predecessors and the M6. 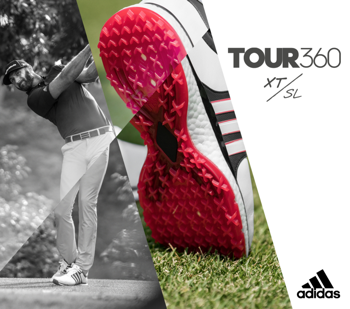 Move the weight forward to reduce spin by around 600 rpm, move them to the extremes at the back to affect a draw or fade, split them, have a play with them to find what suits you best…….or just do what I do, watch my favourite Tour pro and do what he (or she) does! Speaking of Tour pros there is also a smaller 435cc Tour version of the M5 driver. The trade off is always the same, the pros will be able to swing the smaller club a little quicker and don’t mind sacrificing a little forgiveness…. because they centre strike a damn site more often than us mere mortals! Stock shafts for the M5 are a superb Mitsubishi CK Tensei Orange 60 and Project X HZRDUS Smoke 70. To summarise the M5 driver with its face screws may not be the most aesthetically pleasing offering they've ever released but when it comes to adjustability and functionality it may just be the best. The testing numbers show increased ball speeds of up to 2mph which will benefit everyone. Tour pros with faster speeds will game it with the weight pushed forward while amateurs will use the weighting to correct hooks and slices. It'll be a hit, It'll be number one, and time well tell if this one will be a classic! Make sure to check out of review of the TaylorMade M6 driver too, essential viewing really if you choosing between the two! The original TaylorMade M2 was a brilliant driver. The 2017 M2 had to be prized out of the hands of Tour pros. The M4 won six times on the PGA Tour in 2018. So how does this new M6 driver follow that? Let's take a Golfbidder Look Under The Hood. The answer TaylorMade found, and let's be honest here, are in the less than inspiring form of two vintage looking screws in the face, but they come with one of the greatest and most convincing explanations I've ever heard! You see it seems that, back in the day, or up to 2018, all the driver faces were made on the safe of the legal COR, or "springyness" limit to allow for manufacturing tolerances. You might have gotten lucky and bought an M1,2,3 or 4 with a more "trampolinee" face than your mate on the tee next to you. There was no way of knowing (without rigorous testing) except to say they were all legal. But now, in the M6 (and M5) all the faces are made "illegal", then brought back to barely the right side of the law by injecting hot melt resin in the heel and toe of the face where these screws are. I told you the story was brilliant! It makes us feel like we are running from the golfing police a little bit and its exciting! The phrase ‘Speed Injection’ is used to evoke a feeling of an almost performance enhancing club that has been "injected" in a good way to bring it back to the limit. Personally I'm more convinced by the fact that the face is 3.4 grams lighter than before and machined thinner on the edges to provide a frankly huge sweet spot and would make sense with the hot melt resin. And whether you like the screws or not, the testing numbers are plain to see, this method can result in a 2 mph ball speed gain versus pervious models. Where it's brother, the M5 is hugely adjustable, the M6 is the one where you just give it to the TaylorMade engineers and say "make this long and forgiving would you?" and that brings us to head shape and weighting which differs from its brother the M5 and predecessor M4. Looking down on the crown, the silver titanium section has been thinned, the carbon area and content has been increased by 46% and the unnoticeable but effective Twist Face retained. If you think the M6 looks a little open at address, you can start adjusting the hosel to one of the 7 options and plus or minus 2 degrees to suit you. And its worth noting that there's a D-type version released also to really enhance a right to left shot shape. The big change on the M6 however is the on the under carriage. The hammerhead 2.0 speed slot has lost a bar, due that injected resin doing the job of bracing the face and then there's a big rear underslung 46 gram weighted section. TaylorMade call it an ‘Inertia Generator’ which when balanced with the weight savings in the carbon crown create a more forgiving setup. So maybe a little blockier and not as aerodynamic as the M4, but with a faster face already giving added ball speed who wouldn’t want to hit another fairway or two!! Especially when you also consider the stock Fujikura Atmos shafts are a whopping 45.75 inches long, great for distance but more difficult to control. To summarize the M6 driver with its face screws is not going to be winning any beauty contest but what it will be winning is Tour events all over the world in the hands of the best players. Make sure to check out of review of the more adjustable TaylorMade M5 driver too, essential viewing really if you choosing between the two! 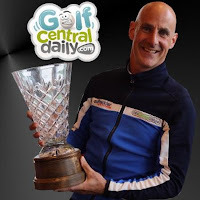 If you like our Under The Hood reviews, and we do strive to be clear, honest and independant, please do give us a thumbs up below and hit subscribe and stay up to date with the very latest on Golfbidder Facebook and Twitter. From me for now, it's Donal out.